Next up in our New Year clean outs... the closet. Now, I must admit that this is one I dread because... well, I love clothes! And I love having choices. But there truly is no better time to get it done, is there? So... where do we start? Take It All Out. For me, I've found the easiest way to force myself to do it is to take everything out of the closet and pile it on the bed. If I want to sleep, it has to get done, right? Go Through Each Piece. Ask yourself these questions: Do you love it? Does it fit? When was the last time you wore it? Sort Accordingly. If it's something you love and wear frequently, right back into the closet it goes. These are my for sure keeping pieces. With anything you'd like to get rid of, sort into a sell pile and a donate pile. Consider. Have some pieces you're just not sure about? I know I usually do when I'm sorting. I stick these in a maybe pile as I go, and then revisit when I finish. In my revisit, I consider why it's a maybe... do I not wear it? Why not? Do I need something to properly style? Do I have other similar pieces? Which do I prefer? You get the idea. This usually helps me narrow this pile down even further. Get Rid Of It. Now that you've sorted, actually get rid of it! 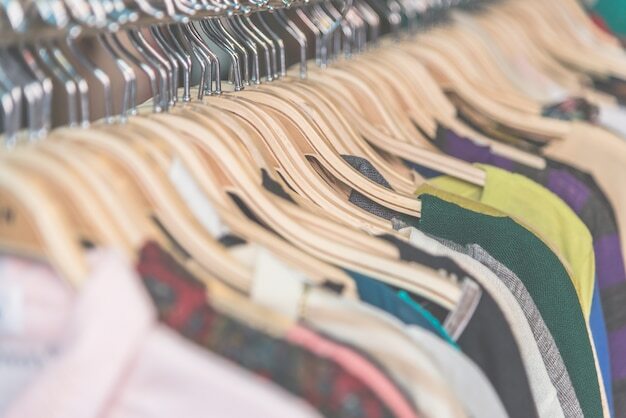 Don't just keep it in boxes around the house where you're tempted to grab them back out... take them to a consignment shop or store like Plato's Closet or use online sites like eBay, Mercari, etc. Need to refresh the wardrobe? Use these funds to help pay for new pieces you WILL wear. Turn Hangers. Hang every hanger in the closet backwards. Once you've worn a piece and it comes time to rehang, hang it correctly. Revisit in a few months to see what pieces you still are not wearing. Don't Hold Onto 'Skinny Clothes'. Now, some might argue that these are good for goal keeping, etc and that might be true... but at least keep it to a minimum. And be reasonable too. A size or so smaller... something that almost fits but just needs a little push, those are great... pieces you haven't fit into for 10 years? Well, it might be time to reconsider. You'll feel a lot better with a closet of clothes that fit and flatter well. Try It Out. If you're REALLY unsure about parting with clothes, try a little experiment. Put those maybe clothes into a box (or separate closet in your house if you have one). Out of sight, out of mind. Revisit in a month or so... did you miss them? Could you do with the clothes you had if these went away? You might find that after some time apart, they're a little easier to let go of. Are you cleaning out your closet to start the year? Love it or dread it? What tips have you found work well for you?